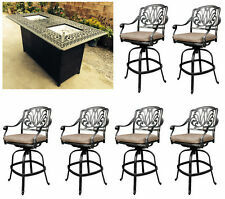 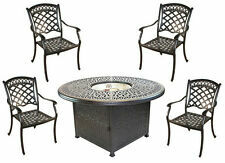 Propane fire pit table set cast aluminum 5 piece dining with Sunbrella cushions. 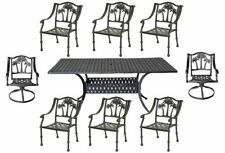 Patio dining set 8 person Palm Tree chairs with Nassau rectangular table. 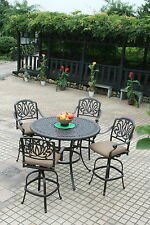 Elisabeth cast aluminum club rockers 3 piece bistro set with end table.